What do all software products with dominate market share have in common? As Box SVP of Platform and Chief Strategy Officer Jeetu Patel sees it, they’ve grown from apps into platform companies – finding new ways to create value for users on top of what’s already been built. In the summer of 2015, Box co-founder Aaron Levie recruited Jeetu to create an open platform where developers could build Box content management into their own products. Box Platform, which now includes more than 175 partners, has exponentially grown the company’s addressable market, and Jeetu joined me on our podcast to walk us through how startups today can repeat the process. Our chat covers how a product team’s mindset must change as they begin opening up their platform, how to build better relationships with developers, and why your customers – not your competition – should dictate your integration strategy. If you enjoy the conversation check out more episodes of our podcast. You can subscribe on iTunes or grab the RSS feed in your player of choice. Below is a lightly edited transcript of the conversation. Adam: Jeetu, welcome to the show. To get started, can you walk us through how you got to where you are today? Jeetu: I started in a think tank advisory firm that helped organizations and collaboration and productivity space for about 17 years. From there, I crossed paths with the folks at EMC and Documentum, and they asked me to come on board as CTO to help with the cloud mobile strategy. Very quickly, we found out that once I got there, that we wouldn’t be able to get it done organically. I also owned M&A at the time, and so I proposed to the board that we acquire a SaaS company from the outside (Syncplicity). Shortly after the acquisition, I ran the company for a while and scaled it from 8 people to about 250-300 people. Then, Dell was buying EMC, and they were going to carve it out. Box CEO Aaron Levie and I had known each other for a while, and Aaron wanted to start a platform business at the time. We got talking and here we are. It’s been a great ride for the past couple of years. Adam: So the Box Platform was really in its nascency then, when you came aboard. Jeetu: It actually wasn’t a launched product at the time. It was an idea, without a business unit and a team put in place. We started this thing with 3 or 4 people, so it was a startup within a startup. Adam: What was the problem, or opportunity, that Box was attacking that made the company decide to open things up? Jeetu: With these kinds of ideas you have to see if there’s actually an industry tailwind and a megatrend that’s actually supporting the thesis you’re going after. The big megatrend we were seeing was every company was going to go digital, and half-lives of business models were shrinking, and half-lives of products were shrinking even faster than business models. Half-lives of products were shrinking even faster than business models. Over a 2-3-year period, people would completely have to rethink their product value propositions. The old model of taking 2 years to build out a product and release it just wouldn’t work. You needed to have much faster cycle times for releasing product. The way that new apps were getting built, and new experiences were getting built, was through the use of these microservices, where you would have a set of ecosystem providers that would do what they do best so that you can then focus on doing what you do best. Think about applications that use services like Twilio for messaging, or Stripe for payments, or SendGrid for email; we felt like content needed to have a same value proposition, where it’s basically essential for every application to have a world-class content experience. But management of content isn’t anyone’s business, really. Take a financial services company. 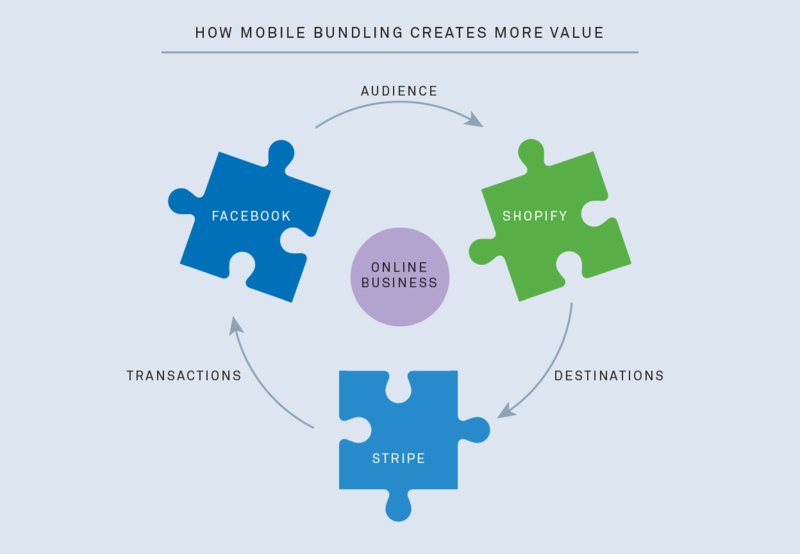 They go out and manage money, and they need to make sure the content’s effectively being delivered through their system in a way that they can have a great relationship built with their customers. A healthcare company that goes out and saves lives (is another example). All of these were areas we felt like could massively benefit from having a white-label platform with all the capabilities and richness of Box, which could be made available as a set of APIs and RESTful services to be embedded into a bunch of other custom apps that get built out into the world. That would literally ten-X our addressable market in terms of number of users. Adam: And for the people that would then build on that platform, it gives them that additional selling point – they’re providing extra value to their user base. Jeetu: Yeah, it also gives them an innovation tailwind. Not every company needs to figure out how encryption works, and security works, and compliance standards work, and how a beautiful experience for a rendering content should work. Prior to us, if an application developer wanted to have HD quality video experience with instant transcoding, you would have to build out a team like Netflix with 200 engineers. Now, you can make a few API calls, embed the Box HD viewer and preview capabilities right into your application, and it takes you an infinitesimally small fraction of time compared to what it would have taken you to go out and build the capability. As we keep investing, those app developers get an innovation tailwind from us, because they just benefit from all the innovations that we’re making. Adam: When you’re a product builder who’s first beginning to open up your platform, as it was the case for you when you got to Box, how does the mindset of the product team have to change? What type of transition did y’all have to make to become a platform company? Jeetu: That’s a really good question. When you’re an apps company and you start thinking about building a product for a particular audience, you tend to have a tremendous amount of clarity on the use cases that you’re going to serve. You typically tend to curate a very thoughtfully built experience for those use cases for that particular audience, and then you direct people to use your product in that way. With that model of taking an apps business and importing it over to your platform, the biggest cognitive dissonance that happens is, you don’t start out with a very predefined, prescribed set of use cases. You start with a baseline infrastructure and framework that people build on top of. That is the biggest mind shift you have to make, because a majority of the innovations that we’ve seen our customers build, we had never imagined when we were building the platform. You don’t start out with a very predefined, prescribed set of use cases. Adam: Box was quite large at the time it made this transition, but, for a smaller startup, looking around the corner, how do they know that they’re both a good fit, and ready for a platform play? What boxes do they need to check to set them up for success? Jeetu: As you’re building a startup, the thing you think about is this: any category-dominant leader that’s built a disproportionate value and market share compared to their competitors has not just built an apps business. They’ve also built a platform business. What I mean by a platform business is you’ve got data in your system that other developers are using to create additional value on top of what you’ve provided to them. And that creates a discontinuous leverage effect within the ecosystem. You’re no longer bound by the innovation velocity that you might be able to deliver to the market; you’re actually compounding that value because everyone else can go out and build on top of the data that you have. Over time a lot of companies that want to dominate certain categories or have a category leadership position will need to think about building a platform. But the way that you do it is in multiple stages. 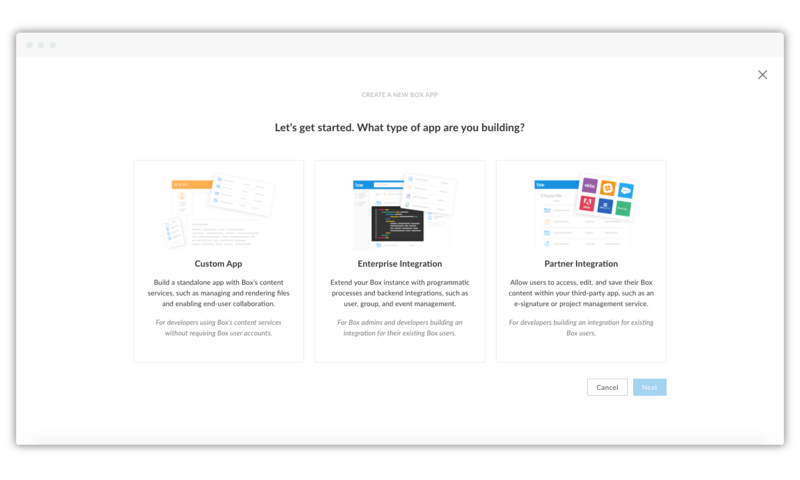 So for example, if you look at our journey at Box, we started out as an app that had some pretty basic capabilities – how do I take a file, put it in the cloud, and share it with people both inside and outside my organization? From there we actually built some enterprise capabilities that customers wanted around governance and compliance. Very quickly we found that we should make sure that we give people the ability to work with Box content regardless of the application they’re working in. The first thing we did to become a platform company was back in 2008, when we said, let’s open up our APIs to third-parties to integrate with us. And in fact, phase 0 was we had built out a pretty robust set of APIs. All of our capabilities that we had built ourselves were built on top of APIs, rather than being built directly with calls onto our core engine. Make sure you have the discipline of being an API-first company. We started with something very basic, but we were true to the principle that we have to build a company that’s API first. You might be an apps company today, but make sure you have the discipline of being an API-first company, because you never know when, for your business model, it will actually make a lot sense to create leverage by building a platform, and building a set of APIs that people can build on. If you do plan on building a multi-billion-dollar company, chances are you’re going to want to make sure that you deliver ways that the data you have can be compounded and valued by what other people do on top of the data. And that requires having a platform mindset. Adam: In the early days of Box Platform, how did you go about pitching its story to developers? What were you doing to show them that, hey, building on Box will bring growth to your business? Jeetu: We were lucky. A company like Stripe or Twilio, who you can think of as other platforms, probably would have been harder to go out and pitch compared to ours. The beauty about our business was, our app, the Box app, is the best reference app for our platform. Because every single thing that we built in Box is, in fact, built on our APIs. So when asks, “What exactly can I do with Box Platform,” you just say, well here’s one example: It’s a Box app that 50 million users have registered and are using. The disproportionate advantage we had in the market was that when we launched our V1 of our platform, it was already operating at scale with tens of thousands of customers, millions of users and petabytes of data. The only thing was that Box and our ecosystem, which is the integrations we were making, were our only customers. Our marketing got a whole lot easier, because people intrinsically knew what we could do with the platform by just looking at Box. And Box was this very easy-to-access product as well. It’s got a premium model, you can download it online, you can just see what it feels like. That was an advantage. In addition to that, for the platform we maniacally focused on the developer experience and the developer flow. If you think about who we serve as customers, we have three constituencies we cater to at Box. We first and foremost cater to the user. The second constituency is the enterprise IT professionals, whether it be the security professional, IT admin or the CIO. And the third one is the developer, who’s imagining and building different experiences with Box than what we could have imagined ourselves. The Box Developer Console is one of the tools Box employs to help with the developer experience. The way the developers are going to really start to imagine different things is to give them a ton of examples. You make sure they can navigate through our documentation, get some recipes, cook books, reference apps, sample apps. We have interactive documentations, you can make an API call right within our documentation to see what the return code would look like. We were very, very focused on making sure that we took out the friction from the developer experience. We are so obsessed about it that we have a product manager and an engineering team focused on documentation. Because that experience in our minds, if you take out the friction over there, it’s the time to the first API call. If you take out the friction before they can make the first API call, you’ve now opened up a whole different level of possibility because you’ve created delight for the developer. We have a product manager and an engineering team focused on documentation. Adam: What does that dialogue with partners and developers look like today? Do you go as far as sharing product road maps with them? Jeetu: We do much more than share product roadmaps. I’ll give you a very simple example: even our feedback loop of documentation is kind of open sourced. If people have ideas on how to make the documentation better, to explain how a product works, we actually have feedback that can be brought in right from the documentation site. We have an approval cycle that goes in. We think of our developers as not as much customers, but just partners that are going to build great experiences around content with us. But they don’t have to worry about the infrastructure and the boring details of content. We’ll take care of that, and they can do what they do best. 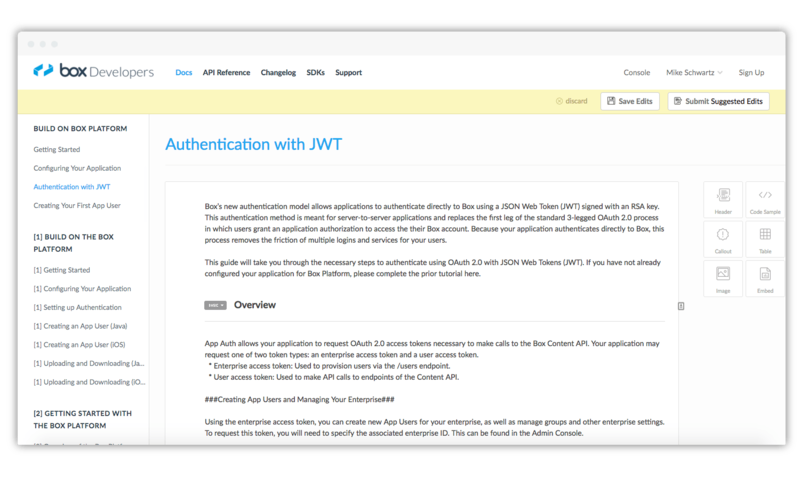 To help eliminate friction in the developer experience, developers can suggest changes and additions to the Box API documentation. What we’re starting to see is that most customers are using us for creating experiences, not just for their internal employees, but largely for their customers. And we are now getting to be in the path of revenue. You would think that as you go to the developers, you’re getting a more technical audience. But what’s starting to happen is more CEOs and board members are engaging in conversation with us as a strategic partner, because as they go out and build the next generation experience as a company, we’re going to be a core component of making that happen. Adam: So it’s really a symbiotic relationship? Jeetu: It really is. It’s actually very rewarding. In the platform space, even though you might start with one developer or a few API calls and a few resources, most people want to understand pricing and how it would look at scale before they go out and start building on your platform. And one of the things that’s really important about a commercial modeling platform is you have to make sure that you’ve aligned yourself in such a way that you don’t succeed when the developer failed at building an app. So what we’ve done in our pricing model is we succeed when the developer gets to scale of using our product. And we give them a tremendous amount of flexibility in terms of a broad spectrum of use cases for using the product. Who should your startup integrate with? Adam: Many of our listeners are from early stage companies. Their products are often still in the phase of gaining traction, and they’re probably starting to look at platforms and working with folks like yourself. What should they be considering in terms of who they might make an integration with? Jeetu: If you looked at the client server world, it was very much, I’m going to go out as a customer and buy my entire technology stack from a single vendor. I’m going to purchase everything from my database to my applications, everything, from one vendor. Because any particular vendor can’t be great at everything, you’d then optimize for the least common denominator. And the reason you did that was because they all interoperate well with each other. In the cloud, interoperability is actually assumed across vendors. Even though people buy CRM from Salesforce, they might buy marketing automation from Marketo – even though Salesforce has a marketing automation component. They might buy content management from Box, and they might buy HR from Workday, and they might buy ERP from Netsuite, and they look at that as a coverall cloud ecosystem they’re creating a blueprint for. One of the key fundamentals for any successful cloud company is you have to make sure that you build a broad ecosystem. The way we think about it is, we want to enable the entire community when they’re building applications to, in a very frictionless way, integrate without doing a whole lot of work. Then there’s going to be certain kind of partners like Microsoft, Google, Salesforce or Amazon, where we actually take a lot of our engineering resources, and we dedicate a huge amount of time toward making sure that we do very deep integrations with them. Think about what’s right for the customer, and then move backwards from there. Just because you might compete with a company in one dimension, doesn’t mean that you close off your partnering appetite in another dimension. That’s the one thing to really keep in mind. Think about what’s right for the customer, and then move backwards from there. Would a customer like to use your product in conjunction with someone else’s, even if the two of you compete? If that’s the case, you should be partnering with them. You shouldn’t have your interests dominate how your partnership strategy goes. If you can do that, you’ll actually have a much more sustained business. I’ll give you an example. If you look at some of our biggest partners, they happen to be some of our biggest competitors. We partner an insane amount with Microsoft. We have teams of people on our side that are dedicated to integrating with Office 365. We compete with them in one area, around SharePoint, and OneDrive, but we partner with them in virtually almost every other area. And we’ve got the benefit of having first class citizenship over there. Adam: You may have already hinted at this with your mentions of Stripe and Twilio, but who else in the platform space is making a play that you admire, and what are they doing that’s making it so successful? Jeetu: There are so many different models. On one spectrum you have the microservices like Stripe and Twilio and SendGrid, which we all admire and we actually work closely with so that we can be in partner with them – not just in terms of integrating products, but how do we go out and collectively think about the platform business? We converse with their executives all the time. On the other end, companies like Facebook have become great platforms in their own right in the consumer space, and we take a lot of lessons from companies like Facebook and Google and what they’ve done. Then you’ve got fantastic enterprise platforms, like Microsoft or Salesforce, and we tend to look at them as great models to steal ideas from as well. If all of us focus on customers building amazing experiences with our platforms, we will all rise with the tide. The one area that I feel is our biggest challenge as an industry is, can you make development so accessible so that not only the best of the best in Silicon Valley are able to build great experiences, but that any company which is eventually going to have a digital presence can also build amazing experiences for their customers? Because, guess what? Customers expect that. Whether it’s the website of an insurance company, or Airbnb, they expect the same level of design, aesthetic and ease of use. There’s a certain level of flattening that’s happened where you no longer just compete with your competitors, you compete with the best in class of any industry. It’s all table stakes. The registration flow on how an application should behave is no different for an insurance company than it is for Airbnb. Customers have an expectation. If you don’t give them that, they’re just going to abandon and not come back to you, and you won’t have engagement. Adam: Speaking of platforms evolving, you recently announced that Box Platform is now available in the AWS marketplace. What makes this such a big win for you and for developers? Jeetu: We think Amazon is one of the most amazing companies. They just announced a great acquisition of Whole Foods and are such a creative company. We look at them as an inspiration. If you feel like developer ecosystem nurturing and development is a central part of building a great platform, then you have to have the mindset that you’re not just going to make your developers come to you, you’re going to go to where the developers are. And the developers are going to be at multiple places. The way to think about Amazon’s partnership is, when a developer is building on Amazon’s platform, and there are content APIs that they want to start using, without any friction, without losing the context, they should just be able to provision our APIs, pay for it, and start using them. Adam: You’ve been in this space for a long time. What excites you about the next couple of years, with the possibilities for platform companies like Box? Jeetu: Some people think it’s rather reductive, but if during the course of your life’s work you go out and impact hundreds of millions or billions of people at scale, that’s a pretty fulfilled life that you can look back at. There are very few plays in the market where you can actually participate and do work that’s really creative every single day, and have that level of scale leverage. I’ll end with this. A large customer for Box would have been like a 200-300,000 users, a customer like GE, when we were an apps company. Now, a large customer for us is tens of millions of users, because customers are going out and building experiences for their customers, and we go out and engage a lot with financial services customers who might have up to 30 million users. I can fantasize going to go into a room full of people five years down the line and asking them, “How many of you know Box?” Maybe 30% of them raise their hands, but the the remaining 70% that don’t are all using Box, they just don’t know it. Because every time they go to any of the major brands of the world, they’re being served up content that’s actually coming from Box. That’s a very kind of indirect value, but a very fulfilling kind of proposition to spend your time on. Adam: It’s a powerful opportunity for those that can make the play. Jeetu, we’ll leave it there. Thank you so much for joining us today. Jeetu: Adam, thank you for your time.